I’m wary of being reductive but, if there’s a phrase to sum up the 2011 Vintage Ports, it’s modern classic. Why? Well to my mind this vintage is classic in its concentration of fruit and structure and modern in its elegant, pure expression of said fruit and structure. So while the best of these glorious fortified wines will go no little distance, they are likely to be broachable earlier too. And there’s better news (for consumers at least). 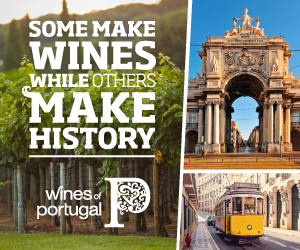 Because prices have not kept pace with wines from other classic regions, Vintage Ports represent fabulous value for money given their provenance, presence and sheer persistence in terms of ageing capacity. 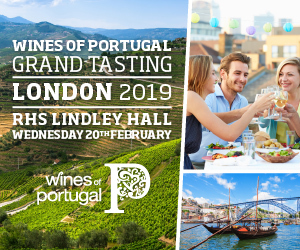 Having already reviewed most of the leading Port houses 2011 offerings in individual blog posts (and highlighted my pick of the bunch here), this report sets out my tasting notes on all 35 of the 2011 Vintage Ports I have tasted to date. The shorter notes towards the end reflect the fact that I tasted these Ports relatively briefly (once only as part of The BFT line up). Where received, each Port house’s vintage reports are provided below (mostly linked), as are details of UK stockists. As you can see there are plenty of highlights – I am far from alone in describing this vintage as a must buy. The Nacional, harvested on the 10th October, hails from a small area at the heart of the Quinta do Noval vineyard which is planted with ungrafted vines (including Touriga Nacional, Touriga Franca, Tinta Roriz, Tinto Cão, Sousão and Mourisco Tinto) and untouched by phylloxera. As Noval put it “Nacional refers to the fact that the vines are Portuguese vines growing in Portuguese soil with no foreign root stock, and are therefore ‘attached to the soil of the Nation’” and my oh my, how it shows in this super-intense, savoury, sinewy wine. It is a dense black hue – really opaque. Where the Noval is mercurial, the weightier Nacional exudes authority. Almost impenetrable on the nose, it implodes in the mouth, pulling you along with its rip tide of dark glistening fruit, minerals and spice. With a firm, sinewy anchor of tannins this drier, cooler, very characterful customer is in no hurry. Magnificent with decades ahead of it (Noval reckon best 5-50 years after bottling, compared with 4-40 years for the straight Quinta do Noval). 19% abv. Vintage report here. 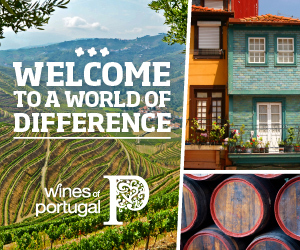 Also sourced from the Pinhão region – essentially Quinta do Porto and Quinta do Caedo – this is a wonderfully spicy Port, with soaring gum cistus, black pepper and sandalwood notes to its ripe, concentrated but beautifully balanced succulent black cherry and plum palate. Firm but ripe tannins promise a long life ahead. Very good. Vintage report here. Produced from Quinta da Boavista and other vineyards in the Pinhão area (Cima Corgo), the sweet intensity of this wine is evident from the get go in its parma violet perfume and profusion of ripe, plush plum and red berry fruit, all of which follow through in the mouth. The structure – a firm clasp of tannin – asserts itself towards the finish, which exhibits just a hint of stewy overripeness. Good. Vintage report here. The Skeffington brand is, if you like, a blend of “off-cuts” that didn’t make it into the Croft, Fonseca or Taylor’s. It shows intense rock rose on the nose and, in the mouth sweet cherry fruit; elbowy tannins and green coffee bean notes detract somewhat. Vintage report here. Described by Fladgate as “more virile and structured than some recent Vintages,” while the 2011 has the toothsomely sweet, cinnamon-dusted svelte black cherry fruit I’d expect from Croft, there’s certainly more sinew and backbone. In fact the tannins are firm, quite drying, on the finish. There’s a hint of greenness too with eucalypt and bitter chocolate notes, which seem out of kilter with the sweet fruit. Needs time to come together? 5,000 cases. Vintage report here. £190/6 bottles in bond/£210 duty paid ex-VAT Lea & Sandeman; £190/6 bottles in bond at Bibendum. This single vineyard Port is sourced from select very old vines on the Polverinho and Renova do Armazém plots and produces an exceptionally perfumed, elegantly drawn Port, positively wreathed in violets. Waves of well-focused, very pure and sweet, ripe fruit roll juicily over the palate. I count pomegranate, red cherry, velvety raspberry (coulis) and blackcurrant among their number, while dark chocolate and gingerbread notes bring nuance. Beneath lie hard pan salt lick and schistous minerals which, together with its firm if fine grained chassis of tannins, lend poise to its long, tapering finish. There’s a touch of warmth (abv) to the finish, but there’s no denying the heady appeal and finesse of this wine. Just 310 cases produced. Vintage report here. This new, limited edition (250 cases) Port is sourced from two consistently high performing small stone terraced parcels at Quinta dos Malvedos which differ in aspect (Malvedos is predominantly south-facing) and, in consequence, receive less direct sunlight. 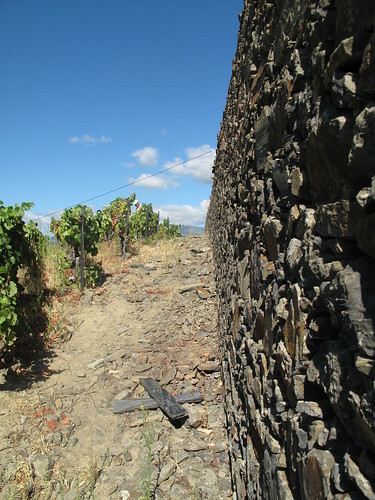 Parcel 43/Port Arthur (1.2ha) is east-facing so benefits from direct morning sun only (though its schist walls retain the morning heat and radiate it back onto the vines), while Vinha dos Cardenhos (0.6ha) is north-facing. Though having been replanted over the years, Touriga Nacional predominates, the vineyards which were originally planted in the nineteenth century have a mix of traditional varieties. 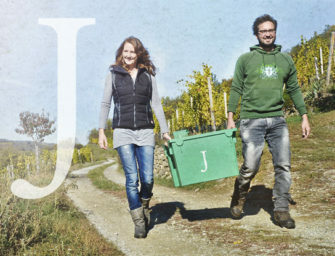 In 2011 the parcels were picked together then co-fermented in a single lagar. 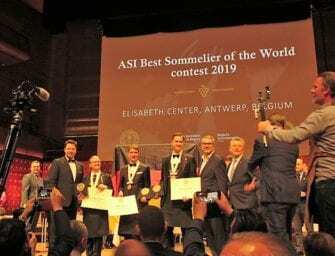 It’s a perfumed, spicy, swoonful delight on nose and palate – sweet and opulent with its glacé red cherry, kirsch and black cherry fruit on the one hand and with great juicy vinosity – an elegance – on the other. Notes of saddle soap, dried herbs, liquorice and sweet cinnamon leaven, layer and lengthen the palate – a real backbone of spice – like a super-charged Collioure! 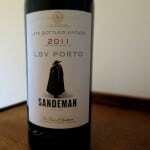 But with its fine tannins, an elegant Port. 20% abv The retail price is likely to be around £100-115/bottle. Vintage report here. A blend of Touriga Nacional (40%), Touriga Franca (45%) Tinta Barroca (10%) and Tinta Amarela (5%) sourced from the predominantly west-facing Vale da Teja vineyard (30 years is the average age of these plantings). Now this is showy. Exuberantly fruited with flamboyantly perfumed and peppery blueberry, kirsch and black cherry fruit well girdled by powerful but ripe, velvety tannins. 1,250 cases. Vintage report here. This Port (only the second Capela to be made) from a unique, relatively level low-lying parcel near the river, the Vinha da Escola is principally made from Touriga Nacional, Touriga Franca and Sousão with, for the first time ever (in the Symington Vintage Port range), a small parcel of Alicante Bouschet. 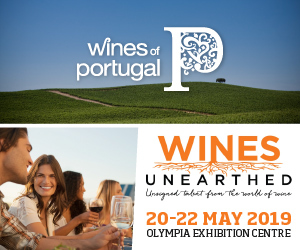 According to the Symingtons “[T]hrough ongoing evaluation over the last few years, the Alicante Bouschet has shown itself to be a very impressive variety, contributing structure and colour, due to its intensely coloured berries.” The Touriga Nacional and the Alicante Bouschet were picked and fermented together on one lagar, as were the Sousão and Touriga Franca in early October. The Dow’s may be impressively hewn but it’s elegant, whereas this very well-structured wine is much denser – massive in fact – more savoury too with dark chocolate, a hint of greenness, gingerbread spice and notes of guava and “berber whiskey” (sugar-laced Moroccan mint tea). At this stage of the game velcro-like tannins well outpace the fruit. I wasn’t as taken with this Port as others. One to review. 200 cases. Vintage report here. A single quinta vintage Port, comprising 80% Touriga Nacional. This is the best Romaneira I have tasted to date (it has previously been made in 2004, 2007 & 2008) – raw and a little spirity initially, but more concentrated and better-focused. It’s a very deep hue, with very concentrated, sweet ripe black fruits (lots of cassis) and a very attractive underlying minerality. Svelte polished tannins and fresh acidity lend persistence to the finish. Accomplished. A blend of Cima Corgo (Quinta da Oliveirinha) and cooler Baixo Corgo (Quinta da Gaivosa) fruit. This is a glass staining, inky Port whose toothsome sweet, very concentrated dark fruit is leavened with lifted black pepper and a touch of greeness (well within acceptable bounds). With good intensity and smooth tannins, it’s a really good effort. Quite tight knit and a little elbowy at the moment in terms of spirit and green coffee bean notes. Needs time? There’s certainly a good concentration of mocha-edged dark fruit beneath with well focused fresh acidity. I loved the BFT catalogue description of this wine as “violaceous” – it has lovely floral as well as cinnamon lift to its red (rhubarb and cherry) and black berry fruit. With fine tannins and plenty of juice it’s long and persistent. Attractive if perhaps a little lacking in stuffing. The backbone of this Port is Quinta da Gricha’s old vines, a field blend. A well endowed yet elegant Port whose concentrated depth of sweet ripe fruits of the forest is laced with violets and black pepper. Sinewy tannins also bode well for the cellar. Impressive and well-focused. Sourced from the Cima Corgo (just above Pinhao) and Douro Superior (just above the Valeira dam) this is a chunky Port, with marked bitter dark chocolate and gum cistus notes to its dark fruit; it’s a little leafy too. Lacks refinement. Expressive if a little spirity into the bargain, with lashings of ripe red fruits and lively black pepper, eucalyptus and sage notes. Tannins are ripe but present. A single vineyard Port from 80 year old (field blend) vines in the Vale de Mendiz, Pinhao; foot trodden in granite lagares and aged for 19 months in an old port vat. From the off, I’ve been impressed with Pintas (I think the first vintage Port was the 2003). As ever, this is very perfumed, with very pronounced orange blossom and violets to its heft of concentrated black fruits; grippy tannins and fresh acidity make for a brooding single quinta vintage Port which should go the middle distance with ease. Another Pinhao single vineyard Port from the earliest vintage to date. Here is Quinta de la Rosa’s vintage report – “[A]n almost tropically hot spring followed a particularly wet, rainy winter which provoked a huge amount of growth and vegetation in the vineyard and ultimately led to one of the earliest vintages ever. The summer months were dry and hot. Two days of rain at the end of August gave us ideal conditions for the grapes to ripen and develop. We started the vintage on 9th August and from this point onwards was carried out on a stop and start basis over the following two months enabling us to pick each vineyard at its ‘optimum’ ripeness. 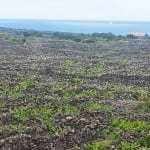 Conditions were perfect.” It was foot trodden in granite lagares and aged for 18 months in toneis. La Rosa reckons it’s the best since they started making vintage Port in 1988. It’s certainly an ambitious wine – deeply coloured with very firm tannins and no shortage of dense black fruits. When I sampled it among the BFT line up, other than its heady perfume of violets, I found it somewhat impenetrable. One to review. A blend of Pinhao and Roncao Valley fruit, this densely concentrated, dark fruited Port is deliciously animated by spicy little explosions of coriander seed. Fine grained but powerful chocolatey tannins make for a long finish. Satisfying. A blend of 60% Touriga Franca, 20% Touriga Nacional, 5% Tinta Barocca, 5% Tinta Roriz, 5% Sousao & 5% other varieties with the exotic orange blossom/bergamot nose which I associate with this estate. Powerfully, expressively fruity in the mouth with juicy plum and blackberry to flesh out its firm tannins. Good. Expressive, really quite forward, with lifted rock rose. Fine grained tannins dance attendance on its soft, juicy black berry and cherry fruit and outstay it a while. Not as loose knit as it first seems. One to review. Not so refined and yet I like the energy and purpose its fresh acidity and peppery lift bring to the fruit. Sourced from old vines (+60 years old) this deep crimson, opaque Port from a single vineyard is, understandably, no powerhouse compared with Fonseca, Sandemans and the like, but I particularly enjoyed the freshness, minerality and balance of this mid-term, elegant, foot-trodden wine. As it opens up, it reveals perfumed violet and rock rose to nose and palate; on day two gum cistus. The fruit (chocolate-edged black plums, damson, raspberry and blackberry) is accessible, but nicely concentrated and juicily expressive; the tannins are present, but powdery. All in all, very smooth yet relatively dry in style, with a tapering spicy liquorice, gum cistus and mineral accented clean fresh finish. Very attractive. Abv 20%, Total Acidity: 4.8 gr/L, pH: 3.72, Bº: 3.0 gr/L (This Port tasted August 2013). 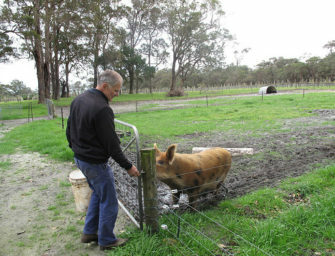 Wilyabrup Valley Vignerons - Margaret River a step closer to sub-regions? A few years ago I was lucky enough to have purchased some 2011 vintage ports to lay down for the future. 2011 was the year my daughter was born and I liked the idea of making the most of the excellent port declaration and making an investment. I currently have a small modest collection of Taylor’s, niepoort, Quinta do noval and vargellas vinha velha but am always looking to increase my collection. 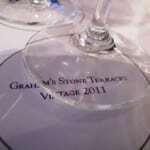 I have very much enjoyed your comprehensive 2011 vintage port review which I try to use as a bit of a shopping list! 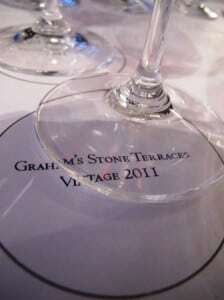 Are you planning or hoping to retaste/evaluate/update your view on 2011 Vintage Port at some stage ?